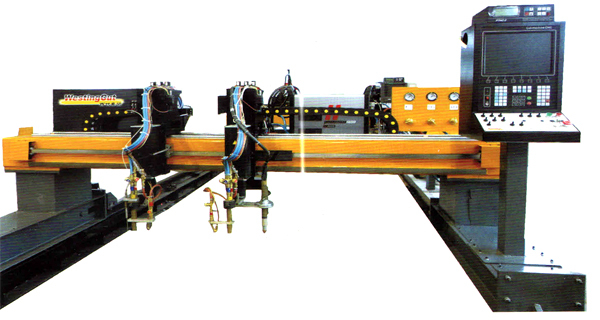 The Art-Pcut CNC Transversal Cutting Machine is the perfect system to prepare steel and non-ferrous metal pipe for fabrication applications. A servo driven rotating chuck provides support for pipe in the 60mm-2000mm diameter range and servo driven profiling axes position and orient torch for precise profiles. Automatic, servo driven height-sensing system vertically compensates position for out of round pipe. An intuitive macro shape library automatically creates the pipe cutting programs, making it easy to cut intersection holes at any bevel angle to support subsequent welding processes. 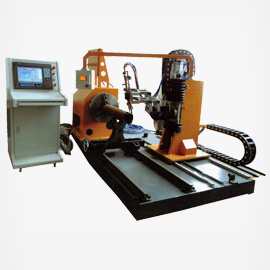 This machine has various uses in construction, chemical & process industries, shipbuilding, mechanical engineering, metallurgy, electric power generation, and steel pipe structural framing applications.